Start off your visit on the 2nd (Sun): enjoy the sea views from Archipelago National Park. Get ready for a full day of sightseeing on the next day: explore the world behind art at Soderlangvik and then take in the waterfront activity at Helsingholm Guest Harbour. To see maps, reviews, and more tourist information, refer to the Kimito Island road trip site . New Delhi, India to Kimito Island is an approximately 15-hour flight. The time zone difference when traveling from New Delhi to Kimito Island is minus 3 hours. Plan for much colder temperatures traveling from New Delhi in December, with highs in Kimito Island at 3°C and lows at -2°C. Wrap up your sightseeing on the 3rd (Mon) early enough to drive to Turku. Visiting Ispoinen Beach and Sauna and The Archipelago Trail will get you outdoors. 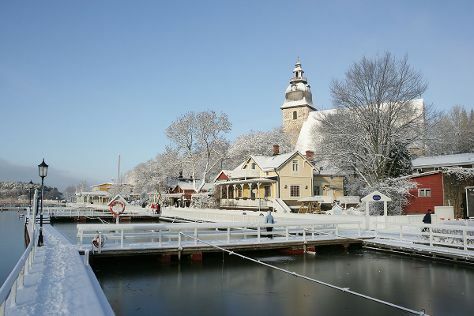 Turku Castle and Naantali Church will appeal to history buffs. There's still lots to do: buy something for everyone on your list at Turun Kauppahalli, wander the streets of Naantali Old Town, get your game on at Moomin World, and admire the masterpieces at Turku Art Museum. To see where to stay, ratings, maps, and other tourist information, use the Turku visit planner. You can drive from Kimito Island to Turku in 1.5 hours. Alternatively, you can take a bus. In December, daily temperatures in Turku can reach 1°C, while at night they dip to -4°C. Finish your sightseeing early on the 8th (Sat) to allow enough time to travel to Poytya. Pöytyä is a municipality of Finland located in the Southwest Finland region.The municipality has a population of and covers an area of of which is water. On the 9th (Sun), explore the striking landscape of Kurjenrahka National Park. For reviews, maps, ratings, and other tourist information, refer to the Poytya travel planner. Traveling by car from Turku to Poytya takes an hour. In December in Poytya, expect temperatures between 1°C during the day and -4°C at night. Wrap up your sightseeing by early afternoon on the 9th (Sun) to allow enough time to travel to Pernio. Perniö is a former municipality of Finland. Start off your visit on the 10th (Mon): explore the wealth of natural beauty at Teijo national park. 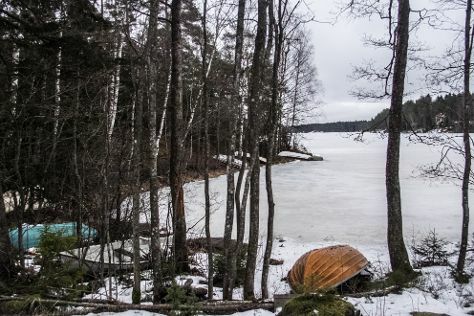 On the 11th (Tue), you'll have a packed day of sightseeing: relax in the rural setting at Ruukin kehräämö ja puoti Oy, don't miss a visit to Mathildedalin Ruukkitehtaat, then sample the tasty concoctions at Mathildedalin Kylapanimo, and finally revel in the low prices at Muurla Design Marketing Oy. To see more things to do, photos, ratings, and more tourist information, refer to the Pernio route planner. Drive from Poytya to Pernio in 1.5 hours. In December in Pernio, expect temperatures between 3°C during the day and -2°C at night. Wrap up your sightseeing on the 11th (Tue) to allow time to travel to Rosala. Kick off your visit on the 12th (Wed): examine the collection at Rosala Viking Centre and then enjoy the sea views from Bengtskar Lighthouse. For maps, photos, ratings, and other tourist information, use the Rosala trip planner . Drive from Pernio to Rosala in 2 hours. In December, plan for daily highs up to 1°C, and evening lows to -4°C. You will leave for home on the 14th (Fri).